Enter The Crypto > Alt Coin > Ether from $16 in March to $400 in June! It’s hard to imagine that less than 6 months ago the price of Ethereum was just $16 per coin! In June the price reached over $400 before falling. 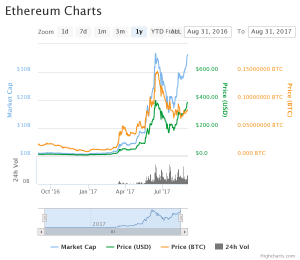 Today Ethereum is back up to over 380 Dollars with signs that it is still on the rise. Whilst it is hard to predict how high Ethereum will go, and although it has climbed over 2000% in recent months, we believe this is still just the beginning. 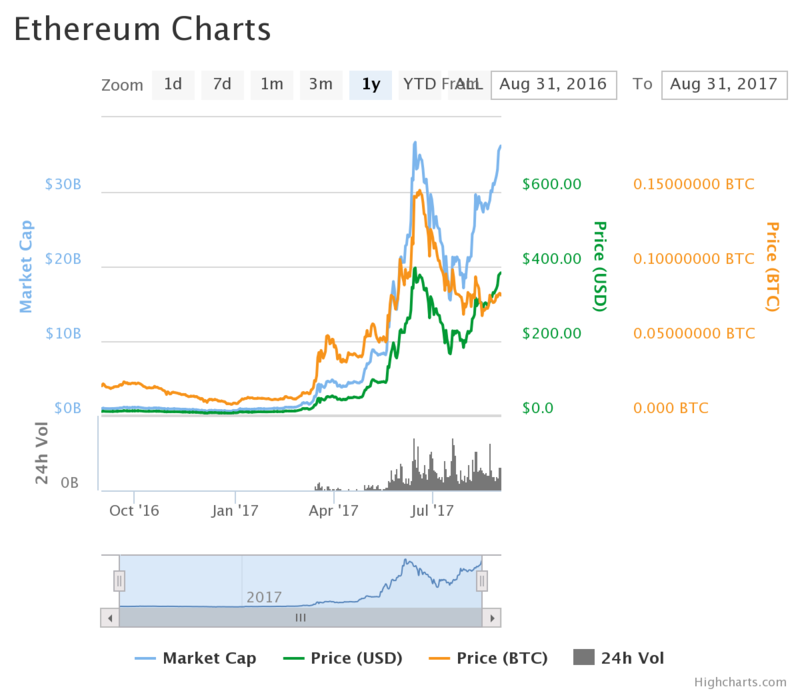 We would not be surprised to see Ethereum reach $500 per coin in the near future and possibly $1000 by the end of the year. Ethereum has a lot to offer and if Bitcoin is anything to go by then Ethereum is still just getting started! There may be dips along the way, as with Bitcoin but we expect Ethereum to reach an all-time high in the coming weeks…perhaps even days! Stay tuned for more Ethereum news including the “Metropolis” hard fork planned by the founders of Ethereum and how we believe this will affect the price.